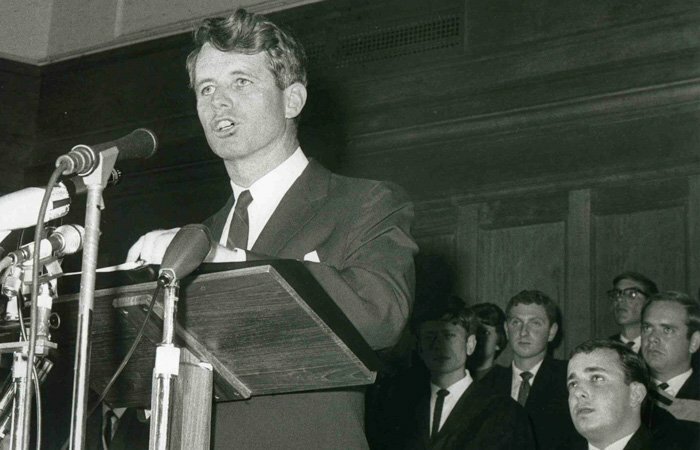 I am not sure why, but I have always been drawn to Robert Kennedy’s “Day of Affirmation” Speech. Even as I have learned that Robert Kennedy was a bit more complex than he appears in his speeches and in the related mythology,yet his words still has that potential to move us, to appeal to our better angels. Even though we see no black Africans in seated behind him, still the words speak to us. There is something very real hidden away in the contradictions and imperfections of that moment. The speech was delivered in June 6th, 1966, at University of Cape Town, South Africa. And the one passage that I have often quoted is as follows. It suggests, as I try to remind myself sometimes, that even for those deeply involved in the political, there must be an ethical calling that underlies all the very practical arguments for what needs to be done.